This past weekend I attended the Waterfowl Symposium in Columbus, Ohio along with Amy Wilms and Karen Henman. 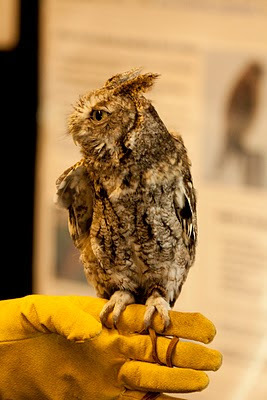 The event was hosted by Columbus Audubon and the Ohio Ornithological Society, OOS. 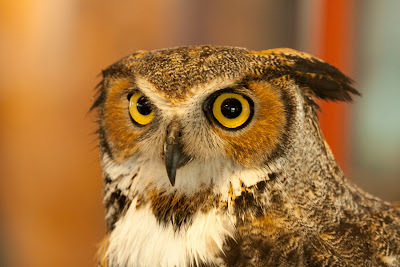 The event was held at the new Grange Insurance Audubon Center in downtown Columbus. 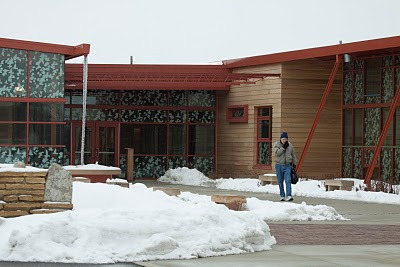 It is a beautiful and environmentally friendly building and the perfect place to hold a birding event! After driving over to Columbus in a snow storm and taking about 1 1/2 hours extra to get there, we attended a benefit concert held at the facility to support Nature Iraq, but more on that wonderful organization in a minute. The Swinging Orangutangs, Bill Thompson III and Julie Zickefoose's band, had the place rocking despite a low turn out due to the awful weather. We also had plenty of beer from a local brewery that names their beers after birds! The next morning we headed back to the Center for a full day of programs. Unfortunately, two of the speakers, Chris Wood and Jessie Berry from Cornell, were unable to get into town because of the weather (they were stuck at the Detroit airport for 2 days). Luckily, Jim McCormac had a presentation ready to go about the waterfowl of Ohio and was able to fill in on the first presentation. After learning about the species that are in Ohio, Keith Lott presented a wonderful program about aerial bird surveys on Lake Erie. The surveys are being conducted in order to better understand the viability of constructing windmills in the middle of Lake Erie. While it may be the windiest place in Ohio, we must first guarantee the the thousands of bird that live on and migrate over the lake will not be negatively effected by the project. During lunch, we were greeted by raptors from a local rehab facility. They delighted the crowd and allowed for closer inspection of species that we normally see at a great distance or not at all in the owls case. After lunch, Paul Baichich told us about the benefits and downfalls of the Federal Bird Hunting and Conservation Stamp, aka the Duck Stamp. While I do not agree completely with his analysis, it was interesting to hear his perspective on the issues surrounding this program. The next speaker was Major Randal Rogers. He is in the Ohio National Guard and told of his birding adventures while stationed at Al-Asad Army base in Iraq. 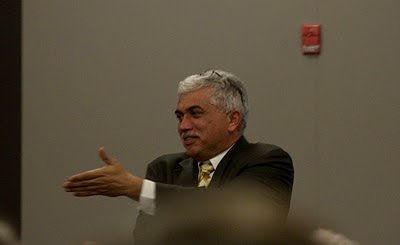 He has an amazing story and is responsible for getting Columbus Audubon and the OOS associated with Nature Iraq. If you ever have the chance to hear him speak about his experiences, don't miss it! Our final speaker of the day was Dr. Gwen Myers of the Columbus Zoo and Aquarium. She spoke of her experience as a veterinarian on a Spectacled Eider banding project on the North Slope of Alaska. It was a fascinating presentation about a spectacular bird. 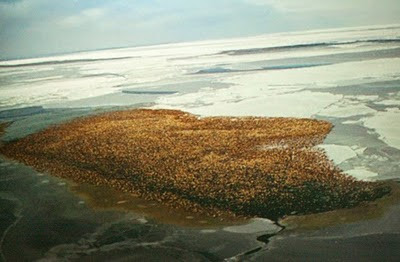 Spectacled Eiders wintering in the Bering Sea.